LIA KEYES | How Do Your Characters See Themselves? How Do Your Characters See Themselves? I’m working on a new novel involving a dual personality, so I’m doing a lot of research into mirrors, perception and point of view, but it has taught me something interesting about writing in general. If you’ve truly mined every possible form of conflict that your characters go through during the course of their emotional journey you’re likely to touch on their unique internal conflict at some point because it’s at the very heart of the human condition. An easy way to explore this concept is to ask how characters view themselves. In every case it’s going to be a different truth than the one others see, but here’s the interesting part—their perception will affect how they behave in every scene, and every possible situation. 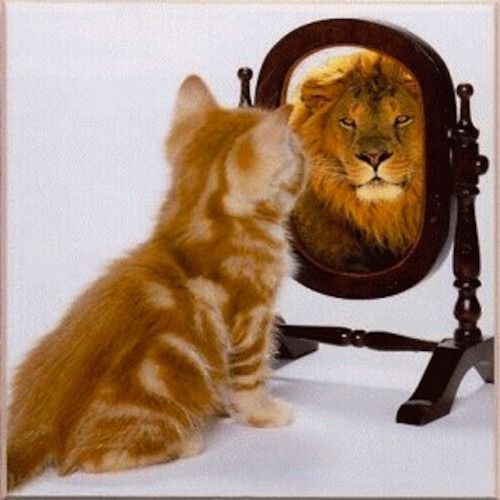 In getting to know your character, this disconnect between the way they perceive themselves and the way others perceive them is what matters most. 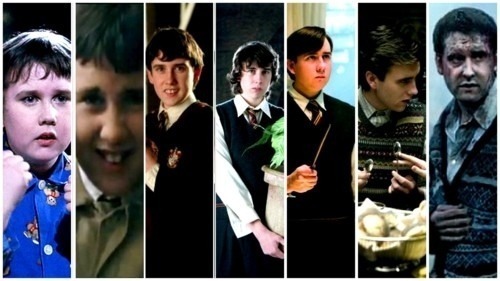 How does the young Neville Longbottom see himself in the first Harry Potter book, for instance? And how does that change as the series progresses? There are some things that remain constant in each case—core skills or challenges—but so much of the rest is down to how they themselves and how others perceive them. And changing the way they view themselves, or taking them out of a world where others have labelled them, can lead them to behave differently, perhaps even allowing them to become the person they want to be, rather than the person they believed themselves to be. Or revealing a darker side they’d kept well hidden, even from themselves. How do your characters deceive themselves? How do they rationalize their view, convincing themselves that they’re right? How do they live with themselves after acting on a morally questionable decision? Fresh perspective is only gained when some one or some event reveals a glimpse of who we could be, whether good or bad, affecting our choices thereafter. In tragedies, this moment of fresh perspective never occurs. So who, or what, affects the way your characters view themselves? Consider every character in your book, not just the hero. How does each one’s view differ from the way others think of them? If you’re struggling with the middle of your story, considering which events could bring a moment of self-realization and change to your character may give your sagging middle the scaffolding it needs to carry the story to a triumphant or tragic end. Either way, there needs to be a moment where they either accept or deny a view other than their own. Very interesting post, Lia. And some very good advice for writers on developing one's character. I particularly like your words on boosting that sagging middle of a novel – very useful advice. cheers! I totally agree that perception and inner conflict are pivotal in getting to the heart of your character. It affects everything they do and how they relate to other characters in the story. This is a really insightful piece and I love the pics to go with it. Where do you always get such amazing visuals for your posts? Great food for thought. In my experience, once someone thinks they have you pegged, it is almost impossible to change their mind. And the same holds true for when I think I have myself pegged. I think it is part of negative, or I suppose positve, core beliefs. Oftentimes, only counseling or God can change a negative core belief, about yourself, others or even about life itself. A dramatic event (like the tsunami in Japan) can change everything, including one's core beliefs. But on a less catastrophic level, even meeting someone else's family and seeing how different their dynamic is to your family's can make you realize there's another way to live. The question is, how will your character gain that fresh perspective or insight? Oh, that one's enormous. The unendurable can seem normal until you find out that someone else thinks it's unthinkable. Or it's the other shock, when someone from a happy home meets someone they like and then finds out what they live in. So true! I thought everyone lived in a mess and had a violent father until I managed to sneak a visit to a friend's house for tea behind my parents' backs and was shocked by how different her home life was! What a wonderful reminder of how very important metacognition is to our character's development. They need to realize their path to growth before it can occur. Thanks for the great blog, Lea! Interesting post, Lia. I like the idea of how the characters view themselves. This perception of a character will definitely affect his/her behaviour. Great advice for shaping characters. This was a wonderful post, Lia. I haven't thought of my characters in that way, unless I was considering an "unreliable narrator". But, it's so true: self-perception colors everything in a character's life and a change of perspective can be a novel's turning point. I'm in the middle of a revision right now, where this aspect of character development is going to be important, so I've bookmarked this post for future reading. Thanks. and I must say, your site has somehow got even prettier. Wow! I love it when someone can put into concise words what I know I'm aiming at but can't quite see through the fog of all the other details I'm trying to keep track of while I'm writing: "there needs to be a moment where they either accept or deny a view other than their own." Thank you! This is so true. I wrote about cats, and did my best not to make them anthropomorphic. Yet much of their social behavior and personalites resonate with humanity. They're social mammals. Their patterns of living are different but it's not inconceivable a human culture could follow them. All of the cats have a sense of themselves, an idea of who they are. It's usually simpler than the reality. Musky could sum it up in "A lot like my dad." He had a really good example of how to lead a Smilodon pride and since he smells like Dad and grew to Dad's size and takes after him, he doesn't doubt that he can do the same. Novel writing is a kick and a half. Nothing can beat it for looking at yourself in the mirror, seeing your flaws crop up in your characters and seeing both the down side of your strengths and the up side of your flaws. Even though I was writing about cats, my view of myself changed after looking at life through Musky's eyes. There's a slightly uncomfortable truth to what you say there, Robert! ← The Future of Publishing? For rights enquiries: Laura Rennert, Andrea Brown Literary Agency.